Christopher Lance Moore has a record of theft and drugs. Watch the video here of the homeowner explaining how he protected his family during the home invasion. In a strange flip of events, a burglary suspect called 911 early Tuesday to report that he was being held at gunpoint by a Springtown homeowner and his son. The homeowner called 911, too, but by then he was in control, holding him at gunpoint and demanding to know what he was doing in his home. “Just unlucky, I guess,” the man responded, according to a release from the Parker County Sheriff’s Department. The incident happened around 12:30 a.m. when the homeowner and his wife woke up to find an intruder in the bedroom of their home in the 100 block of Lelon Lane. The suspect, identified as 41-year-old Christopher Lance Moore of Bedford, left the home and sat in his GMC pickup, parked in the family’s driveway. 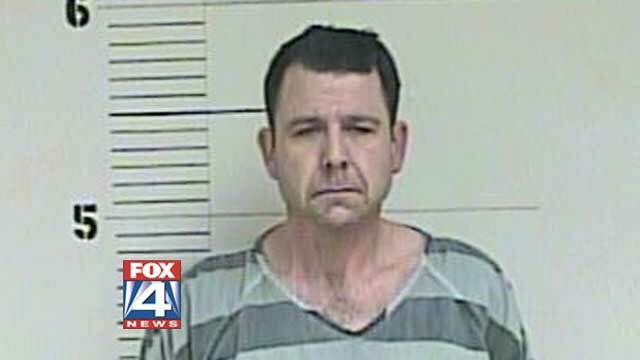 The homeowner followed him with a pistol, took the suspect’s keys and blocked his getaway with his own vehicle, while his stepson trained a shotgun on Moore, Fox 4 News reports. Moore was arrested and charged with burglary of a habitation, and his bail was set at $35,000. His criminal record includes theft and drug charges. In light of the Left agenda being pushed by Bob Costas’ incorrect and rather insane remarks, it’s always great to hear a story in which a gun saved lives.